This is most definitely my favourite of the three books in this series so far. 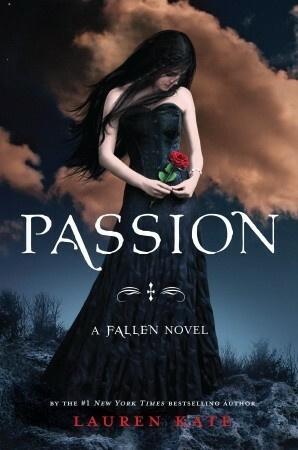 In Passion, Lucinda final comes into her own and shows a little more initiative and guts. I still found myself silently yelling at her about where she was placing her trust, and I saw the twist coming a mile away, but it was refreshing to see her take action at last. Bill was a fun new character addition and I like the way the storyline is progressing. The pacing in this book was the best yet and the fast moving scenes helped to hold my interest and enabled me to really whizz through, finishing it in barely two and a half hours. Fans of the series will not be disappointed by this instalment and those who were unsure of books one and two would do well to give this third one a try. In Passion the pace picks up, the characters whine less and the scene is set for a ripping finale in Rapture, which I will certainly be reading when it is released next year.